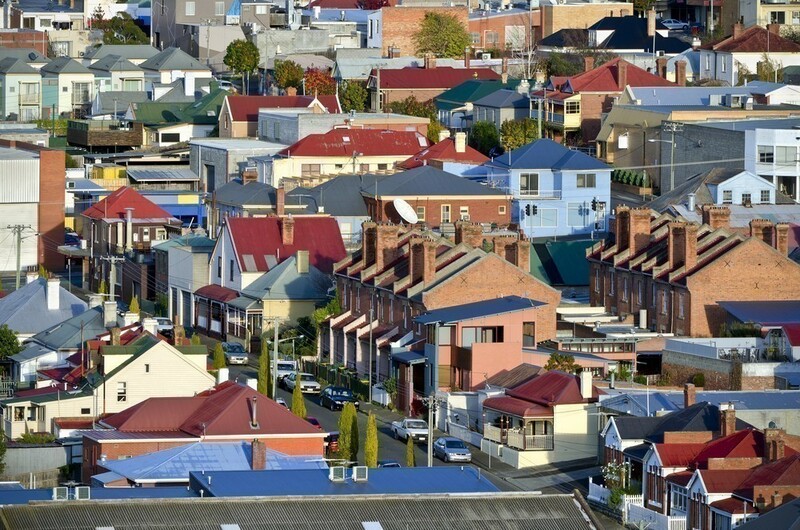 Hal Pawson, professor housing research and policy and associate director at the City Futures Research Centre, UNSW, questions why the Queensland government walked away from Australia’s largest residential urban regeneration project, in this article which first appeared in The Conversation. Opinion: Hal Pawson, professor housing research and policy and associate director at the City Futures Research Centre, UNSW, questions why the Queensland government walked away from Australia’s largest residential urban regeneration project, in this article which first appeared in The Conversation. Four years after its announcement, the Queensland government last week cancelled the central plank in the Logan Renewal Initiative: the overhaul of Logan’s 4,900 public housing dwellings by a community-housing, provider-led consortium. The initiative is a planned 20-year strategy to reshape Logan, an outer-suburban centre in Brisbane’s southeast. It would have been Australia’s largest and most-ambitious residential urban regeneration project. Given its flagship status, and the hopes invested in it as a new form of public-private renewal partnership, the project’s abandonment could be a serious setback for Australian housing and urban policy. So, why – presumably at a very substantial cost in compensation to the spurned regeneration partners – did the Queensland government walk away from the deal? Why was the project canned? The Logan area encompasses Queensland’s largest body of public housing. By the early 2000s, the Logan City Council had begun to see the resulting concentration of disadvantage as damaging to the area’s public image and reputation. As well as detracting from residents’ quality of life, high rates of crime and anti-social behaviour had become a perceived barrier to investment. Partly in response to these concerns, but also building on an existing collaboration between its Labor predecessor and the council, the Newman LNP government began the Logan Renewal Initiative in 2012. From the government’s perspective this was to be just the first instalment of a broader plan to radically recast the state’s public housing system. In 2014, after three rounds of bids and multiple modifications to the original specification, a consortium involving two NSW-based community-housing providers was revealed as the successful tenderer. This proposal involved a new place-based management entity, Logan City Community Housing, and pledged the replacement of 1,000 outdated existing public housing units with 2,600 newly built homes – 1,600 of which would be social and affordable dwellings. In early 2015, Queensland voters threw out the Newman government. But, nearly 18 months and very probably millions of dollars in set-up costs later, Housing Minister Mick de Brenni last week pulled the plug on the project. Instead, he is offering a $17 million commitment to fund 70 new public homes over the next three years. At least some of the seeds of the project’s failure were probably sown by the arguably reckless way it was originally rushed forward in 2012. Buttressed by a huge parliamentary majority and impatient to drastically reshape Queensland’s public services, the Newman government gave little priority to building public support for its radical plans – in housing, as in other areas. Equally, the drawn-out tender process, with its multiple stages and changing requirements, speaks of excessive haste and / or policy over-reach in a state with little previous experience of urban renewal of the scale and complexity envisaged here. Privatisation is an incendiary term in political debate. It may be a technically accurate description for the transfer of public housing to the control of a non-government body in the form of a not-for-profit community housing provider. But whether this really amounts to the kind of deal normally evoked by the term “privatisation” in the public mind is highly debatable. First, the “assets” concerned were to be retained in government ownership. They would have passed into community housing provider control only on a fixed-term lease. And the additional homes to be developed would also have returned to government ownership and control at the end of the scheme. Second, since it is not a profit-making body, the acquiring community housing provider is not in this to exploit the opportunity to generate shareholder returns or to squeeze funding for local services. To the contrary, in canning the Logan project the Queensland government has turned its back on around $800 million of direct investment in social and affordable housing, as well as significant educational and training opportunities for local people. Third, in terms of its management of the former public housing stock, the would-be new landlord in any housing transfer project of this kind is subject to both contractual obligations and statutory regulation. de Brenni’s declared interpretation of public housing transfers is also out of line with that of Labor colleagues federally and in some other key states. In 2013, then federal housing minister Mark Butler reaffirmed the Labor government’s aim of boosting the community housing sector, recognised the role of public housing transfers in achieving this goal, and expressly favoured transactions involving ownership handover rather than those limited to short-term management outsourcing. Meanwhile, South Australia’s Labor government is currently progressing a public housing transfer program aimed at levering in additional funding to upgrade the public housing stock. This funding would otherwise have been unavailable. Also, Labor leader Luke Foley in 2015 challenged the NSW government by advocating a boost to the state’s community housing sector through the title transfer of 20,000 public housing units. With Australia’s public housing withering on the vine and many estates falling further into social and physical decline, there is an argument that these problems could and should be fixed by governments directly. But, over decades, both federal and state / territory governments have shown themselves unwilling to take that responsibility. This policy stance has also recently been backed by the mainstream view that the renewal of large estates should build in social and economic diversity through a private / public housing mix. In any case, by whichever route it is to be achieved, a clear, bipartisan way forward to tackle these problems is urgently needed. Fundamentally, that would mean commitments to quantify the national cost of remedying public housing disrepair, to devise a funded estate upgrade and diversification program, and to fashion a sustainable financial and governance framework to assure the sector’s future. 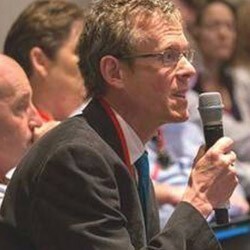 About the author: Professor Hal Pawson is a highly experienced researcher in the urban planning field. He joined UNSW’s City Futures Research Centre in 2011 from Heriot-Watt University, Edinburgh.His key interests include the governance and management of social housing, private rental housing and urban renewal. His latest co-authored book, After Council Housing: Britain’s New Social Landlords was published in 2010.